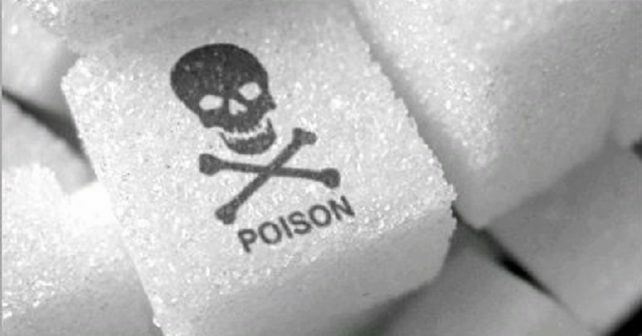 White sugar is pure poison. It feeds viruses, cancer cells and the bad bacteria in your gut. 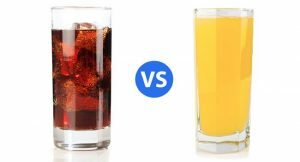 If you’re still guzzling soda, it’s time to make a change. You will feel amazing after cutting out sugar, with lots of energy to spare. Unlike “natural” sugar found in fruit, honey and maple syrup, white sugar is heavily processed and has a negative effect on your body. Just like there are good and bad fats, there are also good and bad sugars. Keep these substitutions on hand when you are feeling tempted and you will win against the white stuff every time. If you’ve never had a date before, now is the time to try one. They come in the more expensive “medjool” variety or the cheaper “deglet” variety. Deglets are just as good and you can usually find them pre-pitted. Instead of keeping candy around, have some dates ready for snacking on in the fridge. They really satisfy the sweet tooth and are especially good dipped in peanut or almond butter. Try it once and you’ll never go back. Ever heard of Stevia? It’s popping up in coffee shops everywhere and for good reason. It’s a no calorie sweetener made from stevia leaf which is a herb. 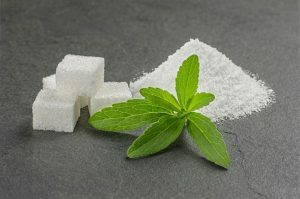 If you found a stevia leaf in nature and took a bite it would be super sweet. Try to go for the green stevia leaf as this kind of stevia is the most pure and natural. You can also find it in a dropper or white powder form. Just remember a little bit goes a long way. Ever had frozen banana ice cream? You’ve gotta try if. It has a soft serve texture and you can add whatever you want to it. Take about three frozen bananas and cut into chunks. Blend or grind them up in the food processor or blender until thick and creamy. Add things like peanut butter, maple syrup, nuts, cocoa powder and peanut butter. Even fresh mint leaves are amazing in this banana concoction. You can also add a splash of coconut milk for extra creaminess. Juice gets a bad rap for being so loaded with sugar. The thing is, juice has the good kind of sugar, especially when it’s freshly squeezed. Try a blend of grapefruit, tangerine and pineapple. If you don’t have a juicer, buy some pure juice that isn’t from concentrate. Preferably organic. You could also add some sparkling water to get that fizz factor going. You can get a really nice bar of dark chocolate for almost the same price as a cheap, artificially flavored one. Find an organic fair traded dark chocolate that is 70-85%. Preferably sweetened with coconut sugar, honey or date sugar. You will be permanently converted to the dark side.